Piloting stem cells presents a challenge for treatments | "Latest Stem Cells News"
Complications and unanticipated side-effects that have slowed the progression of stem cell studies from the lab to the clinic could soon change, researchers say. For a decade, stem cells have tantalized scientists and patients with their promise to regenerate damaged tissues and offer treatments for incurable diseases. No one hears, however, about the individuals who died due to complications of surgery, said Dr. Hans Keirstead, a Canadian researcher who made a paralyzed rat walk back in 2004 by injecting its spinal cord with cells derived from human embryonic stem cells. Keirstead’s lab at the University of California-Irvine just received approval from the U.S. Food and Drug Administration to conduct the same experiment in 10 people with recent spinal cord injuries. The information gleaned from the trial will be invaluable for other types of treatments, and will clear the way for human studies. “I think it serves to lay a paved highway through the jungle that was the pre-clinical path to the clinic,” said Keirstead. Watching Keirstead’s research closely in Canada is Dr. Mick Bhatia, the scientific director of the Cancer and Stem Cell Biology Research Institute at McMaster University in Hamilton. Safety is a huge issue, said Bhatia, pointing to a study published last month in the online journal Public Library of Science Medicine. The study described how a boy from Tel Aviv developed tumours in his brain and spinal cord after having stem cell therapy in Moscow. 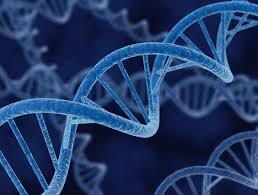 The problems can arise because some stem cells may make endless copies of themselves. Bhatia’s lab, however, recently discovered a way to identify which stem cells could create tumours. 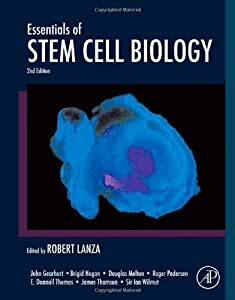 Two weeks ago, researchers at Toronto’s Mount Sinai Hospital announced they’d refined a Japanese technology that made adult stem cells act like embryonic stem cells that have the potential to become any type of cell within the body. The challenge remains finding reliable ways to steer the cells in specific directions, such as neurons for Parkinson’s disease or pancreatic cells for people with diabetes, Bhatia said. In Prince Edward Island, Margo Oliver was tired of waiting for the research. She turned to an unproven stem cell transplant to treat her multiple sclerosis. Oliver, who’d been in a wheelchair for two years, borrowed $32,000 to go to China for the treatment. For a while, it seemed to work. Home video taken a few months ago show her first halting steps, as she leaned on her husband. A year after the transplant, however, Oliver is struggling with fatigue. Oliver said she’d like to go again, if she could afford it, and wishes she could have the therapy in Canada. Paciente con ataxia telangectasea o sindrome de louis bar,con 36 años de edad.tengo afeccion neurológica,que me produce dificultad motris , descordinacion y fatiga.Ademas tengo deficiencia inmunulogica.